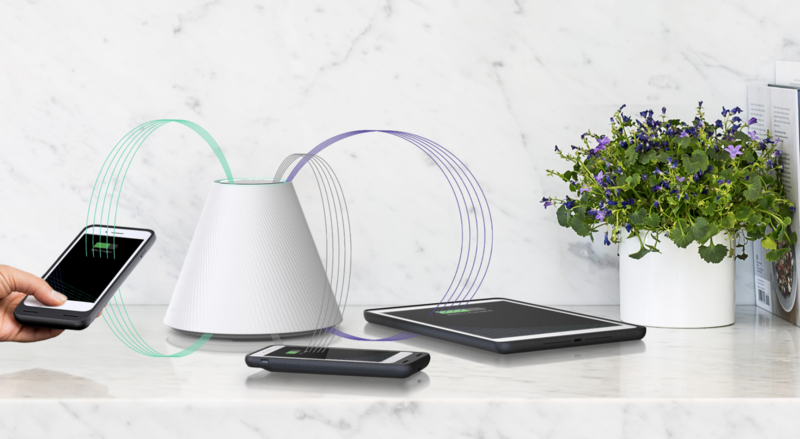 Pi Charging, the company that won at TechCrunch Disrupt SF with its wireless charging tech, has closed a series A round of $11.4 million dollars. They disclosed the news for the first time while updating the audience at Disrupt Berlin on their progress since winning in SF. For those who might’ve missed it: Pi Charging is building a device (the namesake Pi Charger) that lives on your tabletop and can wirelessly charge multiple devices placed around it at once. It’s sort of like a wireless charging pad… minus the need to place anything on a pad. As long as your device is compatible and within about a foot in any direction of the Pi Charger, it should be charging. I spoke to Pi co-founder John Macdonald about the round, who told me a bit more: the round was led by Foundry Group, with Foundry’s Ryan McIntyre joining Pi’s board. It also brings new investor Silicon Valley Bank into the mix, with existing investors Uncork, Nextview Ventures, ENIAC, and E14 Fund returning for another round. Pi Charging had previously raised around $3M. John also tells me that they’re still on track with the same goals they announced back in September: they’re aiming to ship the Pi Charger sometime in 2018, at a price point under $200. So why raise? Macdonald tells me the company is in the middle of a significant expansion, and that they expect to double the size of the team (from 8 people, currently) within about eight months. Meanwhile, he also noted that they’ve begun work on a second product; he declined to say much about it, but confirmed that it’s still in the wireless power space and built around the same wireless tech they came up with for the Pi Charger.